SPRINGFIELD, IL. (August 16, 2017) – Tim Wilkerson is more comfortable than ever in the Levi, Ray & Shoup Ford Shelby Mustang, and it shows. 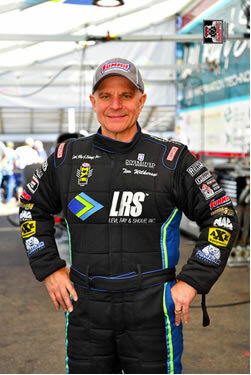 As the 2017 NHRA Mello Yello Drag Racing Series returns to Gainesville for this weekend's 48th annual Amalie Oil NHRA Gatornationals, Wilkerson fully intends to continue bettering his program. Friday, Aug. 18, FS1 will televise two hours of qualifying coverage at 10 p.m.
Saturday, Aug. 19, FS1 will televise two hours of qualifying coverage at 10 p.m.
Sunday, Aug. 20, FS1 will televise three hours of live finals coverage starting at 2 p.m.